The Fiji Chamber of Commerce board with the newly elected members from left Arvind Maharaj,Dr.Nur Bano Ali,President Peter Mazey,Treasure Sunil Sharma,Peter Savona.Standing are the newly elected members Anne Marrie and Ana Tuiketei during the Fiji Chamber of Commerce AGM on July 20,2018.Photo:Simione Haravanua. The National Consumer Helpline (NCH) had 999 registered complaints and 356 advisories in the first half (January-July) of this year. This was revealed in a statement by the Consumer Council of Fiji in response to questions from the Fiji Sun. NCH is a call service centre that consumers can use to lodge complaints against traders and service providers. The Toll Free Number is 155. 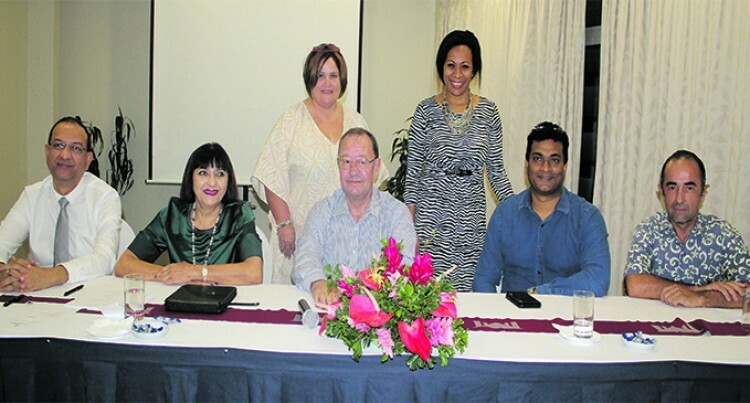 This helpline was put in place, especially to help Fijians living in the maritime areas and rural areas. It was launched on July 14, 2016. The council has highlighted that in 2016 and 2017 financial year, they had received 7422 calls. “50 per cent of these calls were noted as genuine calls with real issues that the council had to attend to,” the council said. When asked what the NCH normally does, the statement read: “Operators who receive calls provide advice, information and guidance to consumers on their concerns and grievances experienced in the marketplace, take consumer complaints and solve complaints by providing redress to aggrieved consumers. “On average, NCH receives 10 complaints per day. “The top 10 complaints include complaints regarding the Homes/Farms CARE assistance, landlord and tenancy, food and drinks, public transport, electronic goods, hardware, mobile products, non-food items, television services, and misleading advertisements and promotions,” read the statement. In addition, the council received more calls from males when compared with females. “A total of 754 males and 245 females called NCH from January 2018 to July 2018,” read the statement. Furthermore, the statement revealed, the council worked to address other complaints within three working days. The council conducts mediation to try and resolve these cases. “If the mediations are unsuccessful, the cases are referred to other consumer protection agencies for enforcement purposes,” the council said. Most of the unresolved cases are normally referred to the Fijian Competition and Consumer Commission, Small Claims Tribunal, Reserve Bank of Fiji, Government Ministries/ Municipal Councils or Land Transport Authority so that proper action can take place. The NCH is operated by the Council Consumer Helpline Operators from 8am-4.30pm Mondays to Thursdays and from 8am to 4pm on Fridays. Any calls to the helpline after these hours are recorded on voicemail for the operators to action during normal operating hours.